World War II saw many interesting ship building activities, Concrete Ship building being one of them. 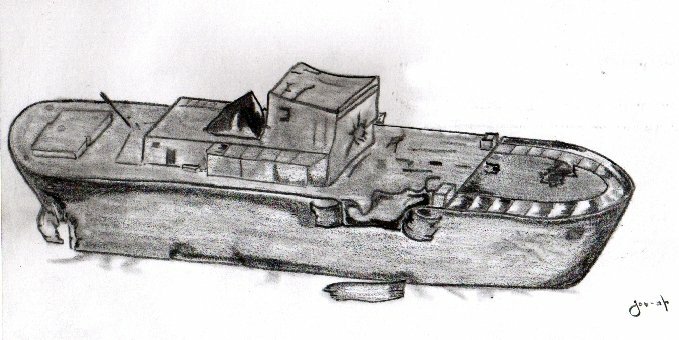 Since the large ship yards were turning out capital ships, the corn field ship yards created the LST. These ships yards got that nick name because many of them had been farms before the war. Far inland, they used the nations waterways to get the ships to the coast. All this ship building put a strain on the production of steel. Steel production limits meant critical items were often delayed. Fuel barges being one of them. Concrete boats or more accurate ferrocement boats had been made many years before. The origins have been lost but some suspect that there were ferrocement boats as far back as the Roman Empire. In WWI, 12 ferrocement ships were built by the US Navy but with poor results. The Cement industry had a pamphlet showing the benefits of ferrocement. seen that fuel storage was becoming a issue. 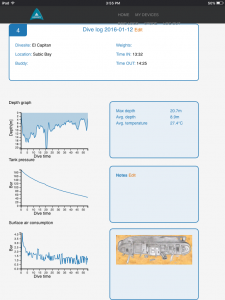 The success of this ferrorcement concept and the need for fuel storage lead to the ordering of ferrocement barges. These are barges in the sense that they had no engines and were pulled by tugs. They did, however, appear as ships. The first fifteen of the barges built were designed to transport oil from the Texas coast to the East coast oil refineries. Additional contracts created both bulk cargo barges and liquid barges. The largest barge was the B7-A2 design which was 375 feet long, 360 feet at the water line, with a beam of 56 feet. It had a height of 38 feet of which as much as 26 could be draft. The Landing Ship Tank was only 326 feet long and 50 foot beam. 22 of the B7-A2 were built, they were classed as “YO” if they were to carry bunker fuel and “YOG” is carrying “clean” fuel such as diesel or gasoline. 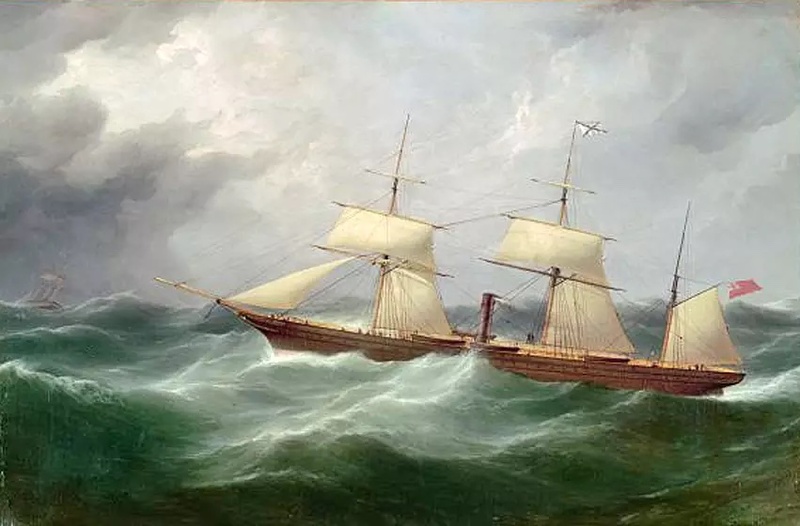 The “N” was not always used, it designated a non-self propelled vessel. 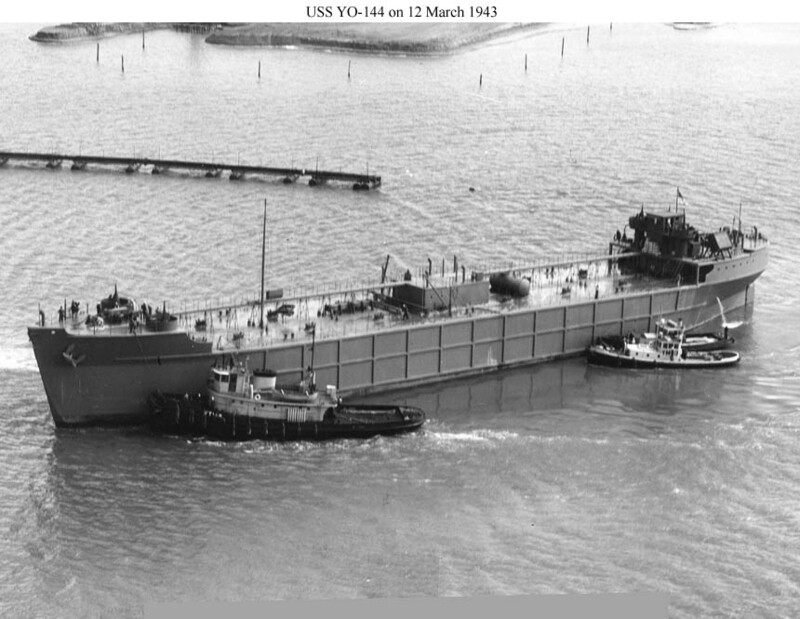 One of the barges was modified before launched to have half of the tanks aviation fuel and the other half water. Two concrete ships were scuttle at Normandy to create a breakwater. Breakwaters containing floating concrete ships from WWII can be found in the Powell River in B.C. Canada and the Chesapeake Bay in Virginia. 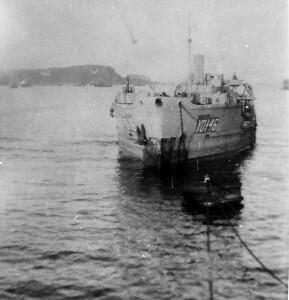 entered service on 12 Aug 43. While the war records for the barge is sketchy at times, she is known to have been initially assigned to Asiatic-Pacific Theater at Port Purvis Anchorage, Florida Island, Solomons Island Group. She seem to been moved to Guam in 1945 and in early 1950, she was towed from Guam to Pearl Harbor where she entered dry dock for a short time. This information of her time in Guam comes from the University of Hawaii. Acanthophora Spicifera is a type of red algae also know as Spiny Seaweed or Prickly Seaweed. It is the most common type of sea weed in Hawaii, however, it did not exists there before 1950. A heavily fouled YON-146 has been “accused” of bringing the seaweed and two fish species to Hawaii. Research has clear her of the fish but she still listed as a possible source of the sea weed invasion. YON-146 was back at an Pacific Area advance base (probably Subic Bay) starting in June 1951.She was involved in Operation Ivy at Eniwetok Lagoon for most of 1952. Operation Ivy was a nuclear testing program in the Marshall Islands. After the operation she returned to Subic Bay here she was active until added to the disposal list on 24 Apr 57. However, YON-146 was lost by accident in July 1957. 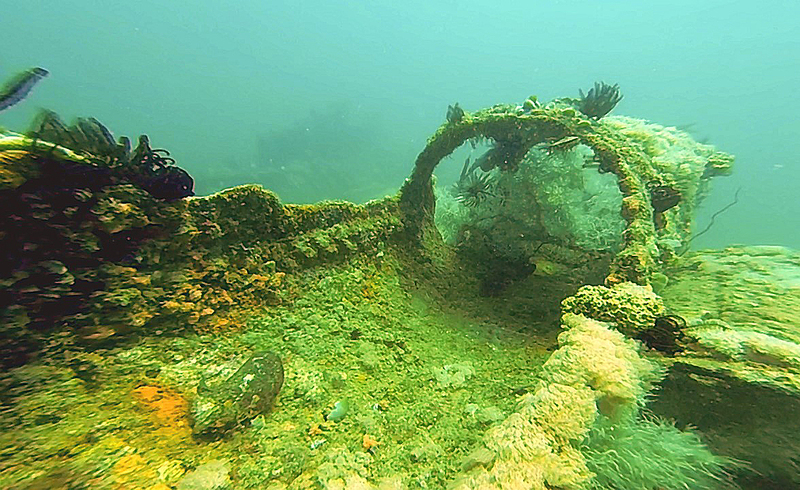 She is the largest ship wreck at Subic, however, she is seldom dived. Subic Bay has very poor visibility at times and this wreck sits at the mouth of the largest river. 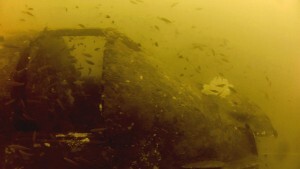 The B7-A2 has a 36 foot freeboard and this wreck sits upright in about 120 feet of water, however silt has filled in around the wreck so that she raises only about 10 feet from the bottom and the holds are mostly filled in with silt. Still divers who explore her will find huge sea fans and schools of small fish. While concrete ships might seem unusual there is one that is in its own category. 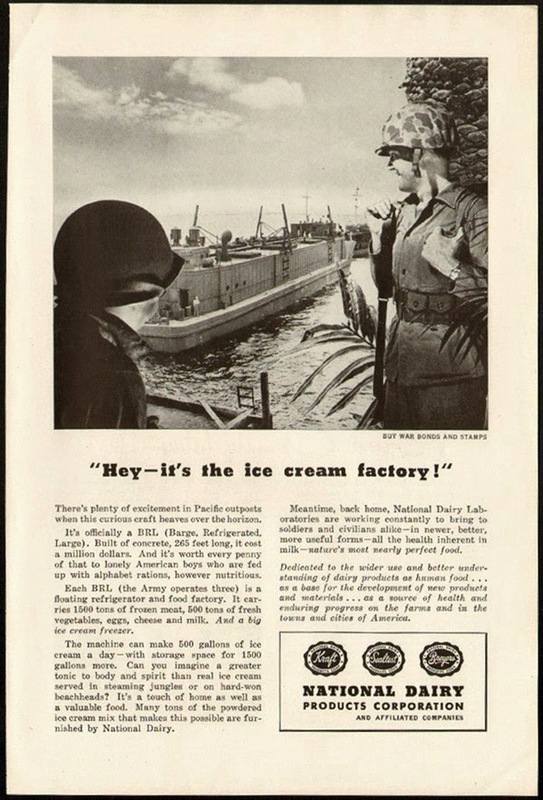 The Navy adapted a Army Barge, refrigerator, light to a floating ice cream factory. Sorry for not posting lately. I have been busy with a number of projects including posting on Johans Beach and Dive Resorts facebook page and creating a new website for them. Also, have been doing some research. Johan has found a Skyraider aircraft and I been researching possible aircraft. I have two prime possibilities both are Ad-5Q aircraft. The AD-5Q is a modified Ad-5N changed to perform Electronic Counter Measures (ECM) missions. The Skyraider is best known as a single seater single engine propeller driven attack aircraft. Designed at the end of WWII they saw duty in the Korean War. They are probably best known as Sandy to Vietnam Vets. The Sandy was used for close air support and as protection for search and rescue missions. 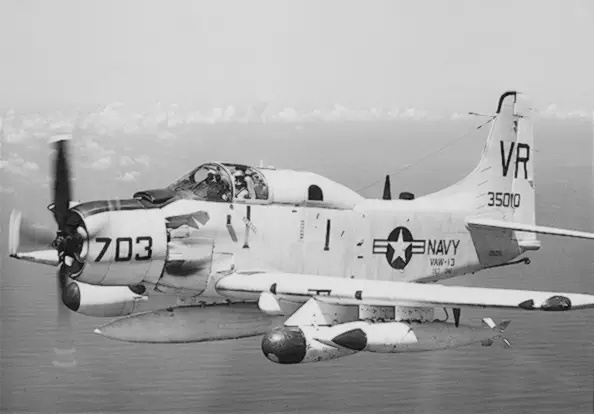 Unlike the new fancy jets, the Skyraiders could stay with the helicopters and could stay on target for hours. They could be loaded with a mixture of bombs and had 4 20mm cannons. They could keep a landing zone safe for the recoveries. The AD-5N was a night fighter version with a wider body, it had two up front with a technician in the rear section. These were modified to a AD-5Q, so that the rear section had jamming devices and a seat for a second tech. In addition to the ECM missions the AD-5Q was also able to operate as a night fighter. Research has led me to a AD-5Q crashing into Subic Bay on Jan 9 1962. The aircraft belong to VAW-13 detachment Foxtrot, which was on temporary duty with the USS Lexington. The crew of four died in the crash. Another crash in 1966 was a AD-5Q belonging to VAW-13 det 1. The crew of that aircraft escaped with no injuries. This week we plan on visiting the aircraft looking for it data plate and the marking on the stabilizer. 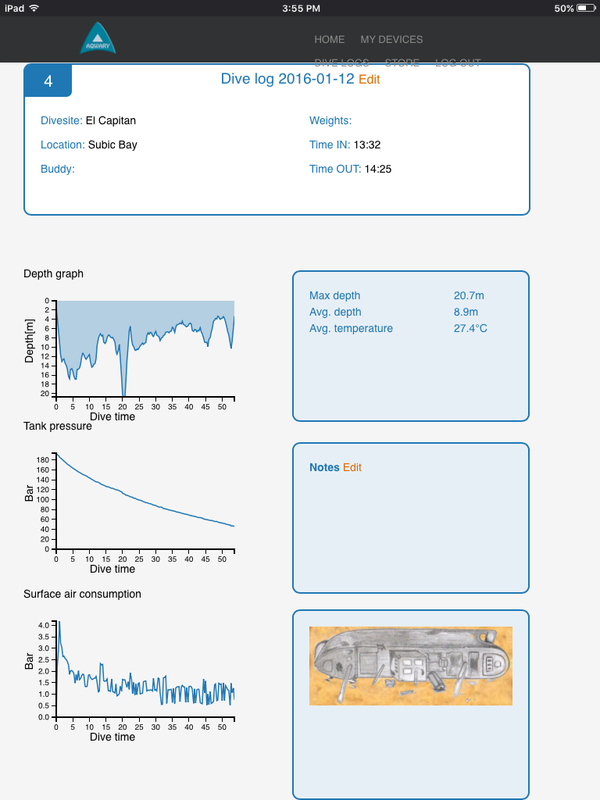 This information will allow us to fully identify the aircraft. It also means there is one more to look for. The Barges dive site is located on the north side of Grande Island. It is not what you would typically consider a wreck site, it does have a personality of its own. The true origins of the “barges” are unknown, however, I do have my own theory. I am convinced of it but lack documentary proof. I will present my theory later. 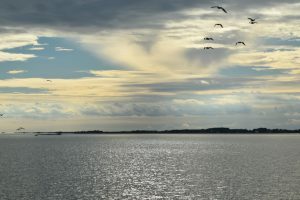 Grande Island’s military importance dates back to the original Spanish fort. It became Fort Wint under the U.S. Navy until captured by the Japanese in WWII. After recaptured by US near the end of the war, it never regained its military significance. It was later used as a R&R center and at the end of the Vietnam war as a refugee camp. It is currently the site of a resort. The “barges” is really a floating dock. 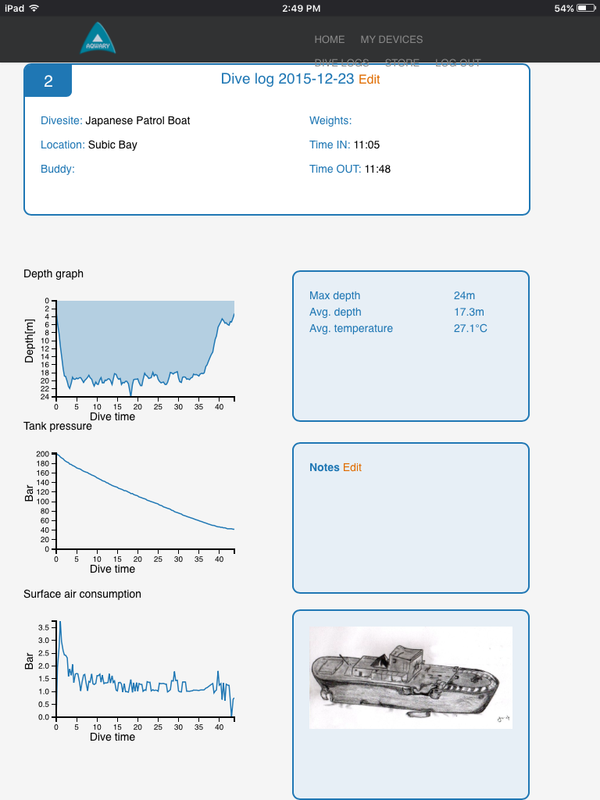 How, when and why it sank is not known, and a few of the sections seem to be missing. The site is on the bay side of the island, so conditions are generally calm.On the map it is top left of the island. The first section sits about 40 meters from the beach in about 6 meters of water. It is mostly buried with just the top section visible. The next section is about 20 meters away and sits in about 10 meters of water. More of this section sits above the bottom and there are places to look in and under. These first two sections are generally parallel to a breakwater. A third section is mostly on top of the surface with little of it buried. The docks form a rough “T” with the right portion of the “T” sloping down to 32 meters and the left at about 18 meters. 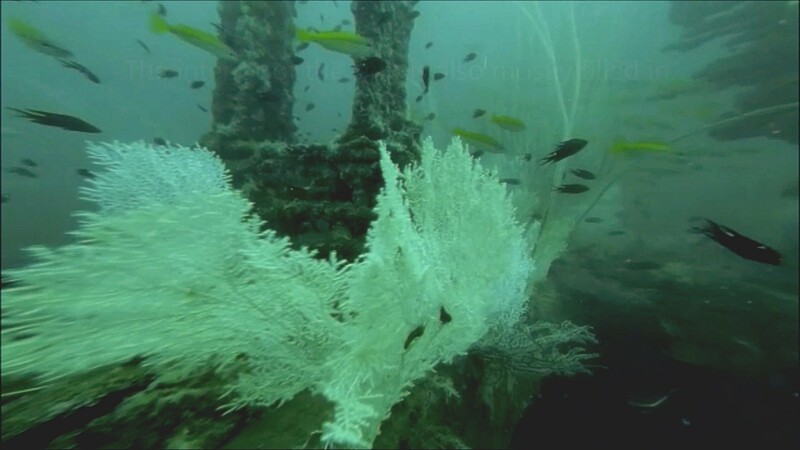 A bottom around the docks is mostly sand and the docks themselves have been completely covered with coral. 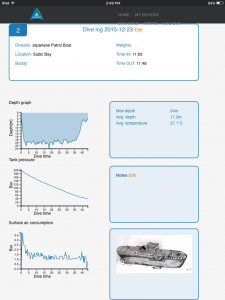 The most common comment about this site is that the marine life always seems to change. The different depths also seem to attract its own variety of marine life. 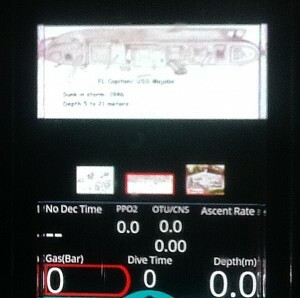 This is an all round dive site. It often used as a second dive and a training site. Discover dives and night diving is common at the site. 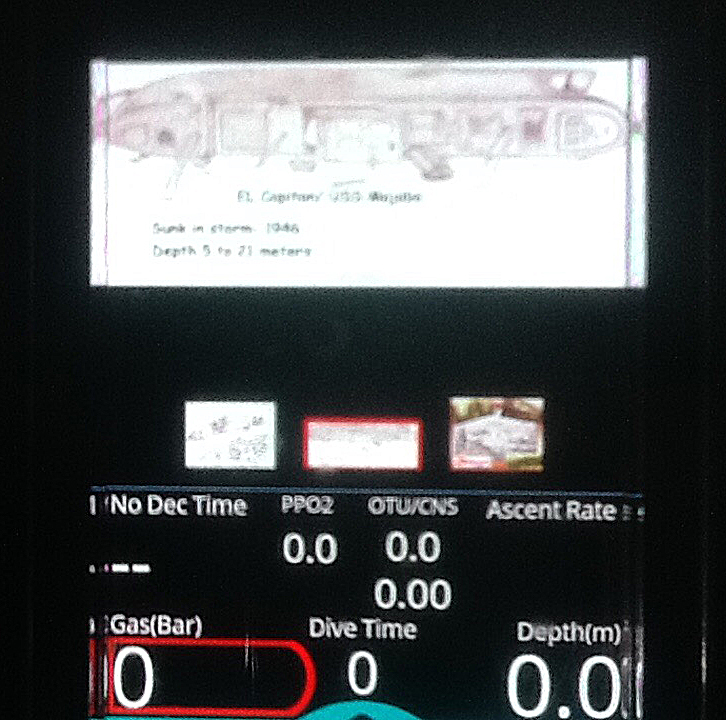 The slope to different depths allows for deeper dives for experienced divers. 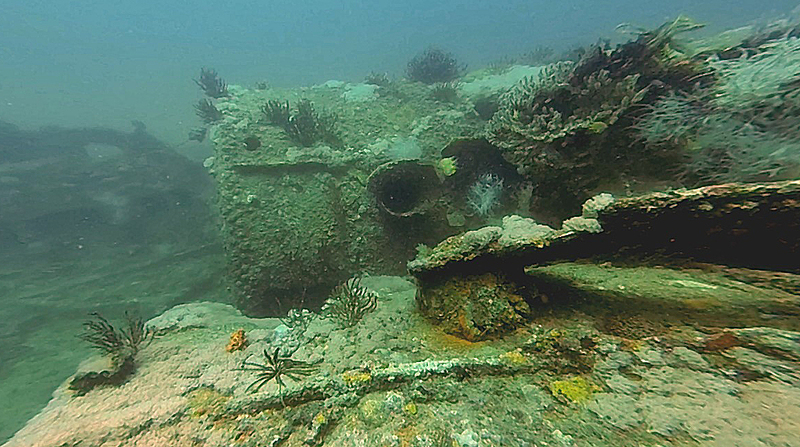 Subic Bay is the place to dive if wreck diving is your favorite type of diving. Subic Bay and Coron are the two leading destinations for wrecks. Subic has a greater number and they are closer together, Coron has better visibility, better reefs and caves. Subic Bay is a tourist destination, while Coron attracts mostly divers and a few other adventure tourist.